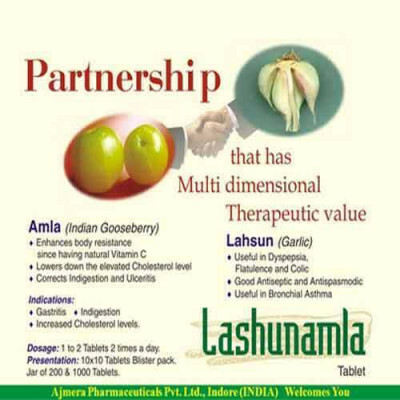 Lashunamla Tablets are made up of two main ingredients lahsun and amla. The presences of amla are useful in bronchial asthma and many more problems. These products also contain amla that corrects indigestion and ulcentics. The products are helpful in enhancing body resistance and lowering cholesterol level. Presentation:- 10x10 Tablets Blister pack.